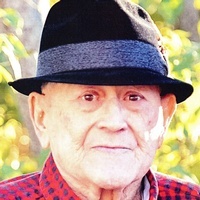 Jimmie Kyle Shelton, 81, Elizabethton, finished his race and went home to be with the Lord on Thursday, February 7, 2019 at the Johnson City Medical Center. Born March 3, 1937 in Gate City, Virginia to the late James & Bessie Watkins Shelton. He had lived most of his life Carter County. He served in the United States Navy. Jimmie was a retired Meat Cutter. In addition to his parents, he was preceded in death by his wife: Pansy “Pat” Walker Shelton who died January 7, 1998, by five sisters: Peggy, Patti, Sue, Betty & Shirley and three brothers: Billy, Mack & Bobby. Jimmie attended Heritage Baptist Church, Johnson City. Survivors include his children: Jimmy Kyle Shelton, Jr. & wife Tanty, and Lisa Buck & husband Larry all of Elizabethton. One Granddaughter: Annelise. A Brother: Charles Shelton. His Sister-In-Law: Tonia Miller & Husband Robert. Several nieces & nephews. His four legged friend, Dougie. He loved spending time will be granddaughter & his friend, Dougie. Funeral Services will be conducted at 6 p.m. Saturday in Memorial Funeral Chapel with Pastor Reggie Weems officiating. Graveside Service and Interment will be at 1 p.m. Sunday, February 10, 2019 in Happy Valley Memorial Park. Active Pallbearers who are requested to assemble at the funeral home at 12:20 p.m. Sunday will be: Robert Miller, Don Merritt, Ron Merritt, Paul Myers, Nick Myers and Garrett Myers. The family would like to express a special “Thank You” to the Staff of the 4200 Wing, Johnson City Medical Center and special “Thank You” to nurse Eddie. A Masonic Service will be conducted by Watauga Masonic Lodge # 622 following the funeral service. The family will receive friends from 5 to 6 p.m. Saturday in the funeral home. Family and friends will assemble at the funeral home at 12:20 p.m. Sunday to go to the cemetery. Condolences may be sent to the family at our web-site www.memorialfcelizabethton.com.